Recently had some problems with my moai that resulted in needing to replace galvo and power boards. Printer is back up and running. I have been trying to dial in the calibration again but am having trouble. In the past I have used the x size and y size adjustments in the settings menu to dial in the final size. I cannot use the distortion compensation is asura because I print with a 3rd party resin (Nextdent ortho clear) and it requires a different first layer cure time which cannot be adjusted in asura, so I am using Cura 3.5. 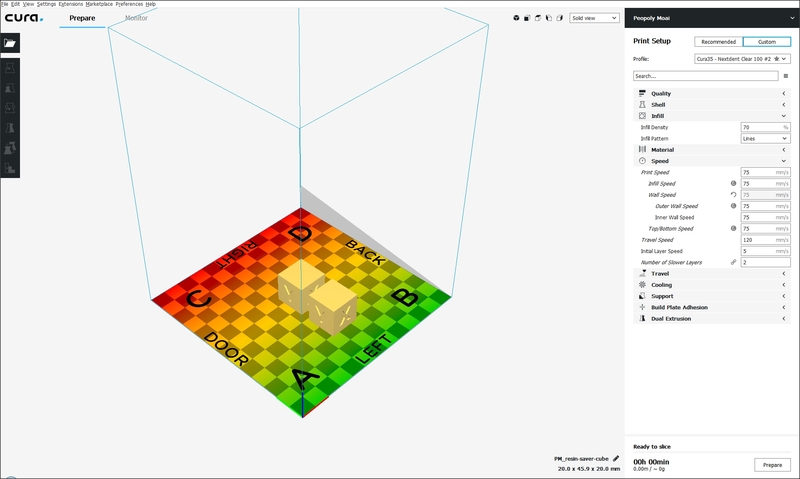 Screenshot of my cura layout. Before changing my galvos I had no problems with calibration throughout the build plate, but now over .7mm of change with the cube just off center.